Want beautiful window and door fixtures that are not going to break your budget? It's completely possible when you shop from one of the leading distributors in the Los Angeles area, Intex Windows & Doors. You will not be disappointed with the choices that are available to you, including various styles from Milgard, Fleetwood, and Jeld-Wen. It can be a bit intimidating to begin the shopping process when it comes to something that is such a big investment, but here at Intex we recognize your concerns and work hard to anticipate your needs and be compassionate to all of our customers. 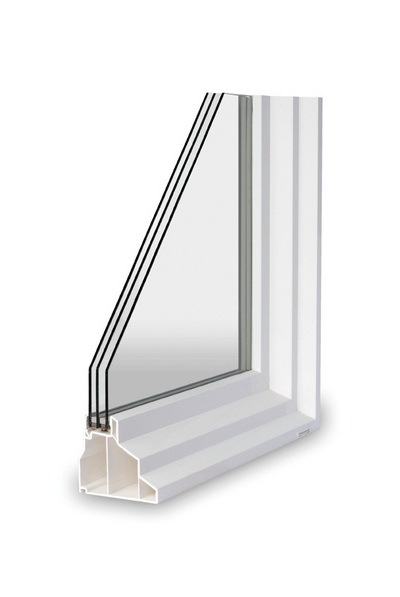 One of the top selling product lines that we have in our selection are Milgard Triple Glass Windows. Look through all of the different series of windows to research what their unique features are and what would be the best choice for you. You will want to put in the extra time now, so that you don't end up with products that are not ideal for your exact needs. You should not have to settle on a fixture that you just happen to like a little – we will work with you to come up with a perfect design if what you have in mind is not in our catalog. In fact, we welcome your request for a custom product that will serve you well. We act as total professionals, talking through your options and making your dream of original windows and doors a reality. If you like the fine cut and beauty of fine wood grain in your windows, look no further than the Milgard Essence Wood Windows. Even within the series, there are endless design combinations that you can choose from, including decorative glass, interior finish, and girds in either traditional or more contemporary styles. The mulling system is a fairly new bit of engineering that connects multiple units and works to protect against water and air infiltration that can cause some serious damage. Who wouldn't love to have windows like that? Milgard Triple Glass Windows are gorgeous and serve a great function, whether you want them for your commercial or residential property. They are ideal to protect against the elements and have a sleek design that is perfect for people who love clean lines. Regardless of where you live and your background, it's likely that you will find something in our catalog that appeals to you. We make sure to target a large customer base and do everything in our power to keep our customers satisfied, so you will never have to worry about finding another business from which to purchase your commercial and residential fixtures. This is why you should take the time to acquaint yourself with what we have to offer, so that you can make an informed decision that you will be happy with for a long time to come. If something ends up happening to your windows or doors for which you are not at fault, you have the opportunity to take advantage of a warranty. It doesn't get much better than that when it comes to your renovation or new construction needs. If it's time for you to get replacement or new products, give Intex Windows & Doors a call to set up a free evaluation and get a quote for the work. Here at Intex Windows & Doors, we want to provide all of our customers with a product that will stay beautiful and in great condition for many years. We have many of these types of doors and Milgard Triple Glass Windows made of different high grade materials and of varying styles to suit your unique needs. You won’t be at a loss for options when you shop from our extensive catalog. With Intex, you are sure to have a smooth shopping experience and assistance from specialists who are trained and willing to help you get the products that you need. We sell Replacement Windows In Los Angeles from companies such as Jeld Wen and Fleetwood, as well as Milgard. Every single feature that we sell is designed according to the highest standards, so you know that you will be getting a product that will last for a long time and provide comfort and beauty to your home. In addition to beautiful windows, Intex also has a huge variety of doors in stock. You can purchase exterior and interior types, Patio Doors Los Angeles. You will be pleased with the result once you have your glass patio doors installed so that you can easily see your patio space. This allows you to have the luxury of having a stylish entryway into your patio and yard. You are bound to get plenty of compliments on your sense of style when you have Milgard Triple Glass Windows. We are a top authorized dealer that serves the greater area of Los Angeles and have acquired numerous happy customers since 2004. We hope that you will give our company a chance. If you want more information, request a quote or have an expert visit your house for an estimate.